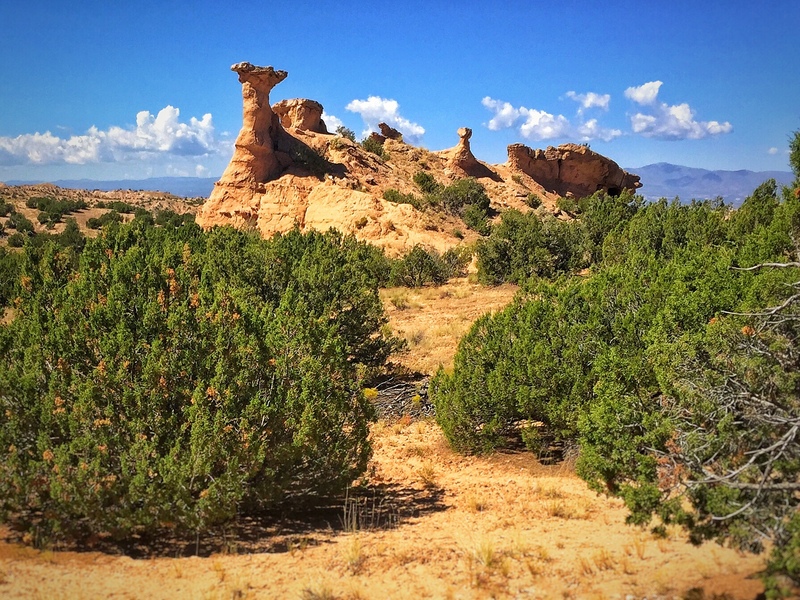 This small group of Hoodoos, Tent Rocks, Fairy Chimneys, or Earth Pyramids, are not as spectacular as, nor seen by as many people as the hundreds in Utah's Bryce Canyon, yet I always enjoy seeing them as I drive the High Road from Taos to Santa Fe. I have photographed them a few times before, but this was my first time with my iPhone. We had a little snow today. Looks like more to come. Research nearly done, organization next, then publishing followed by more book building. Oh, and painting!